Our credit cards are complicated, confusing, and often expensive. While digital payments have made it easier than ever to spend money, understanding how we’ve spent our money remains difficult. Our credit card bills can be cryptic, prominently displaying a minimum payment that will keep us swimming in debt, followed by a list of transactions with company names we don’t recognize. Figuring out exactly what your bill means usually involves spending time with a calculator and a search engine — and most of us just send in a payment and hope for the best. 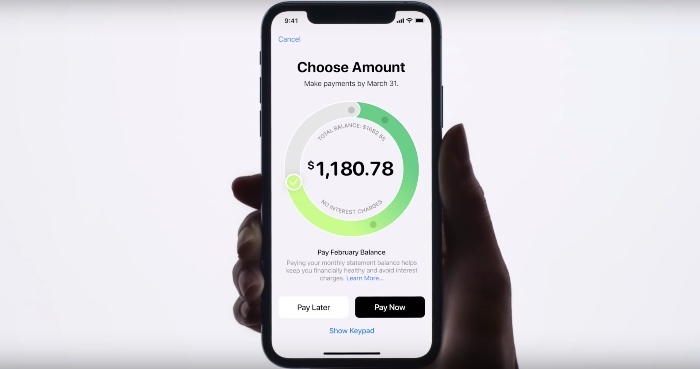 But now Apple is jumping into the credit card business with Apple Card, a credit card that’s designed not only to help us spend but to help us understand our spending. The Apple Card shows up in your digital wallet, just like any other cards you’ve set up for Apple Pay. 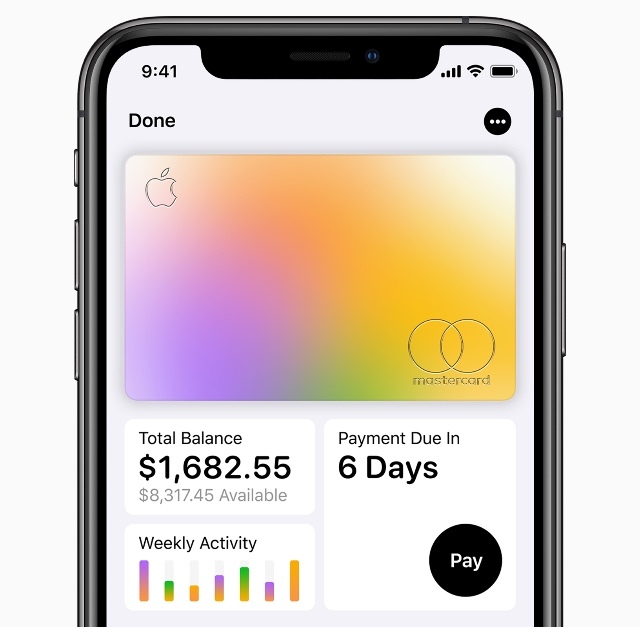 But in addition to showing an image of your card, Apple Card also shows you at-a-glance information on your balance and spending habits. A graph shows how much money you’ve spent every day over the past week, and your transactions are automatically broken into categories so you can easily see how you’re spending your money. And instead of seeing strange merchant names, Apple Card uses machine learning and Apple Maps to tell exactly what each transaction is, so you’ll never find yourself on a search engine to look up a merchant name from your statement. It’s a set of features that reminds us a lot of financial apps like Mint, which helps track your spending and set a budget. However, Mint and similar apps need access to your bank account to view this information — and in an era where online security is crucial, that may not be the type of access you want to give. Because Apple Card is from Apple, you can see all of your information straight from the Wallet app. One feature we really like — and we haven’t seen elsewhere — is in how you pay. When you tap the screen to send a payment, Apple Card doesn’t encourage you to just send in a minimum payment. Instead, it shows a color-coded circle that represents what you owe. Drag your finger along the circle to adjust the payment you’re making, and the app will offer advice on how to best tackle your debt. If you’re making a low payment, it will suggest paying more than the minimum to reduce interest costs. If you’re making a larger payment, it might suggest deciding on a payment plan that will get rid of your debt over and a few months. As you drag, the app shows you exactly how much you’ll pay in interest, giving you easy insight into something that’s often confusing. Beyond its smart software, the card itself offers some pretty compelling features. The card is fee-free: it doesn’t charge an annual fee, a late fee, an international transaction fee, or an over-the-limit fee. If you miss a payment, you will wind up paying more in interest, but you won’t pay a late fee or be changed to an expensive penalty interest rate for future purchases — both common on other credit cards. And, though we don’t yet know what kind of interest rates to expect on the card, Apple promises the rates will be some of the lowest in the industry. Apple Card also offers cash back rewards for purchases with Daily Cash. You earn 2% on all transactions through Apple Pay, 1% on all transactions using a physical card, or 3% on purchases from the Apple Store. Rewards are paid out every day, so you’re never stuck waiting for your rewards — you can immediately use your Daily Cash to make purchases or put it towards your card balance. These rewards aren’t particularly impressive, but they’re as simple as it gets, with no complicated points system to figure out and no rewards portal to hunt through. With many cards, you get good rewards or low fees, but not both. Apple Card offers fair rewards if not the very best rewards. There are two key ways that our credit cards can leak our personal information. First, credit card companies, which have access to all of our purchase information, can mine that data and sell it, Even if the data has been anonymized, it can often be traced back to the source. And second, we often have to hand over our credit card when we pay, which exposes our account information to both the merchant and anyone else who might be able to see our card. Goldman Sachs, the underwriter for the Apple Card, and Apple have promised they won't sell your transaction data for advertising and marketing. And, otherwise, all of your purchase information is only stored locally on your iPhone. The Apple Card uses the same systems Apple Pay uses, with a unique card number stored on your device’s Secure Element security chip. Whenever you make a purchase, your identity is verified with Face ID or Touch ID and the chip generates a one-time security code to authorize the transaction. This all happens locally on your device, with no card or purchase information sent to Apple. You’ll still get a physical credit card for purchases at any retailers that don’t support Apple Pay and your credit card number, expiration date, and CVV are all listed in Apple Wallet if you want to use the card online. 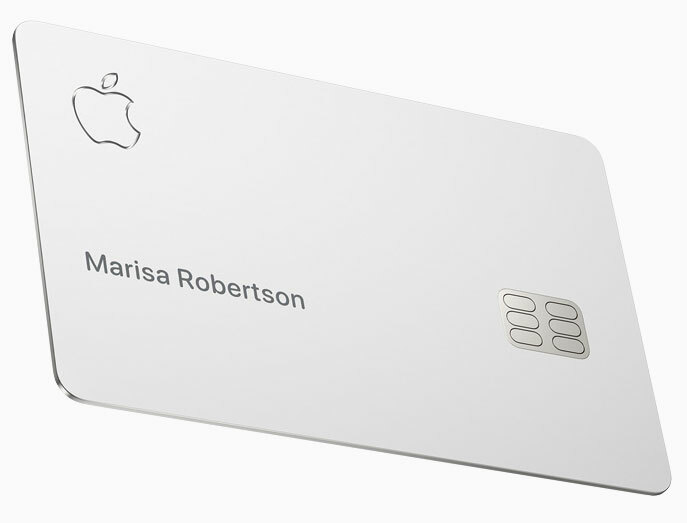 In the real world, Apple Card works like any ordinary card, but it looks sleek — it’s a solid titanium card with your name laser-etched on the front — and there’s no card number or security code printed on Apple Card and no place for your signature, which means your details can't be copied from the card. The signup process is also simple: you’ll be able to apply with just a few taps from your iPhone. Approval is quick and the card will immediately be available for use in Apple Pay on all of your devices. You can apply for Apple Card starting this summer.